As humans, we will miss seeing so many things without God’s eyes. That’s why I’m so thankful to Him, because He gave us His eyes to understand things that we couldn’t, and to show us that He is always in control. He provided what we didn’t expect and make us feel useful to help our brothers and sisters. As a photographer I couldn’t use my camera as often I used to... because I felt the necessity to carry things and to do my best to help our fellows Haitians in need. We thought we had a plan for Monday. 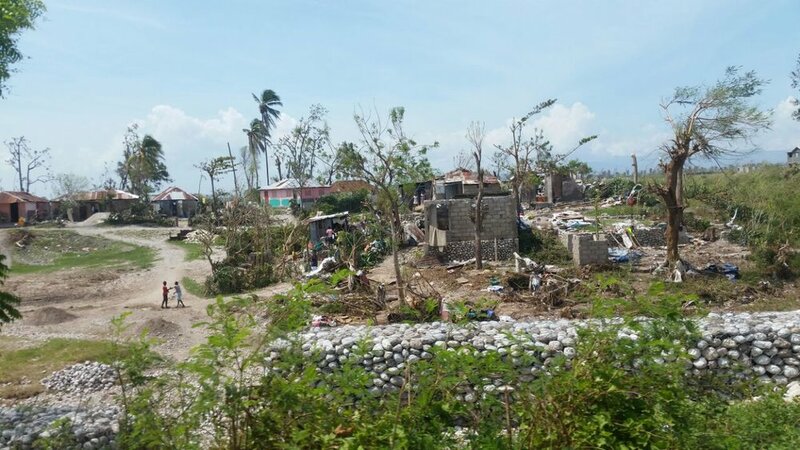 The men were supposed to meet a friend at the airport and caravan down to Les Cayes with her group to start relief work. Instead, that plan fell apart . 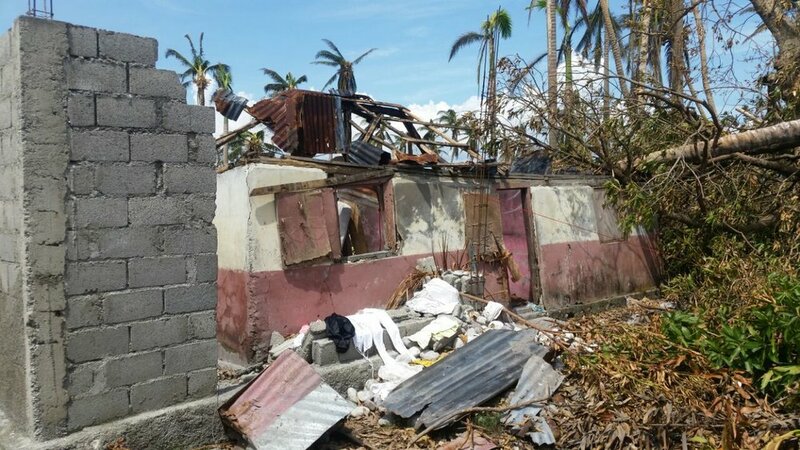 . . just as another friend reached out to Haiti Awake and offered to partner with us for work in the same area. I am very thankful for Crystal Funk and Hearts United with Haiti. As the day unfolded on Monday, it became evident that this was the partnership God wanted for us to pursue for this week. Here is the short version of what has happened on the ground so far this week. 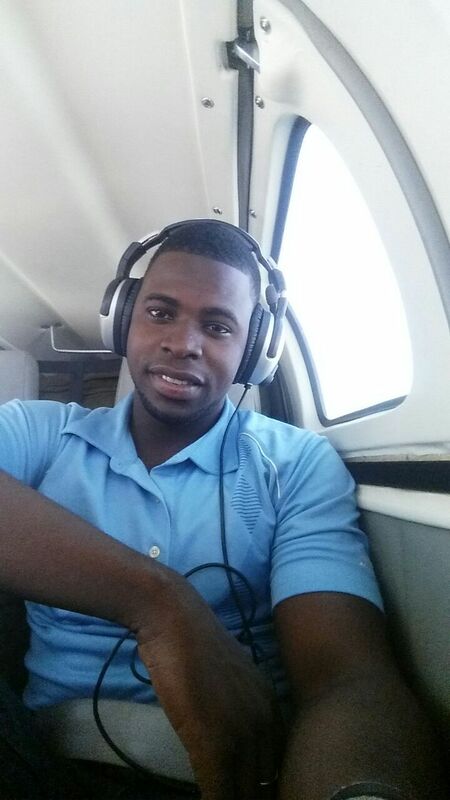 Monday: Polo got to Les Cayes by airplane thanks to Gene Schmidt. Gene is a new friend, an amazing man, an excellent pilot. Hudson, Wesly, Fre Jack (a friend from church), and Redgi (from Hearts United with Haiti) headed down with the truck later in the day. Polo had already made contact with Pastor Joseph Jeneve Delpeche at Mission Eglise Baptiste Sud d'Haiti, and the men were able to sleep at his house all week. 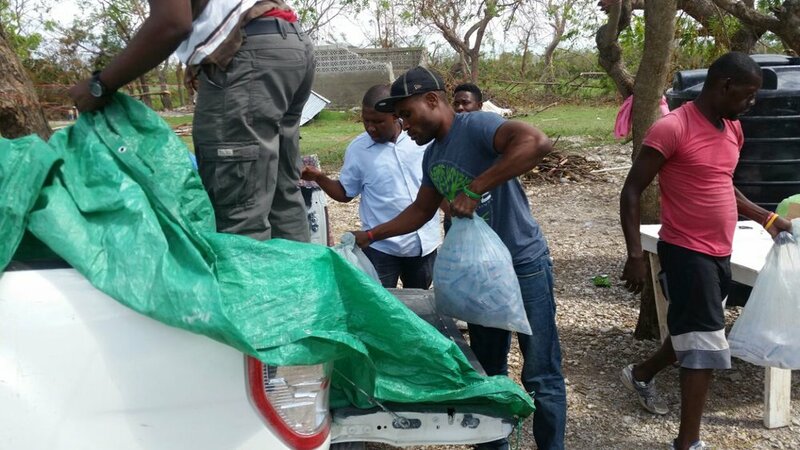 On Tuesday the men bought supplies and distributed them. But the day was not without incident. According to Polo, they had a flat tire far away from where they could get help. He said it was difficult to get the help they needed, but in the end they were able to get the tire fixed and finish the work they had set out to do, including buying rice and re-bagging it for the Wednesday distribution. Today the men gave out rice in the pastor's community before going to his church where they met with the people and gave rice. They then helped Redgi get iron sheets to people his organization knows and has worked with for years. 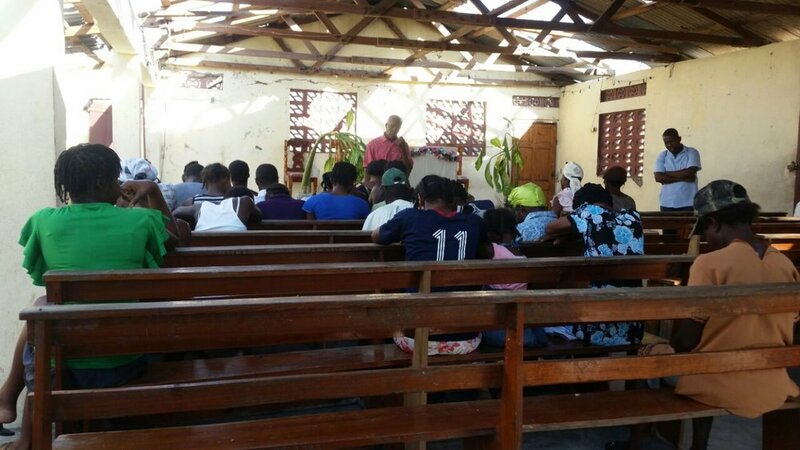 We passed a beautiful 3 days with the Haitians in Les Cayes. The pastor who shared in his house is a good men. I pray to God for the people in Les Cayes. God bless Haiti Awake. It can help the people in Haiti. 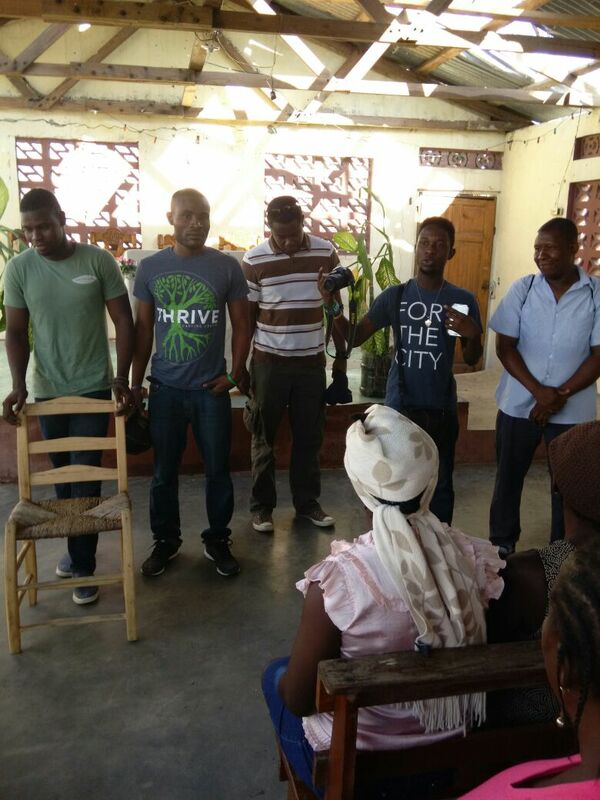 Tomorrow the men plan to return to Port-au-Prince after helping Redgi with another project. 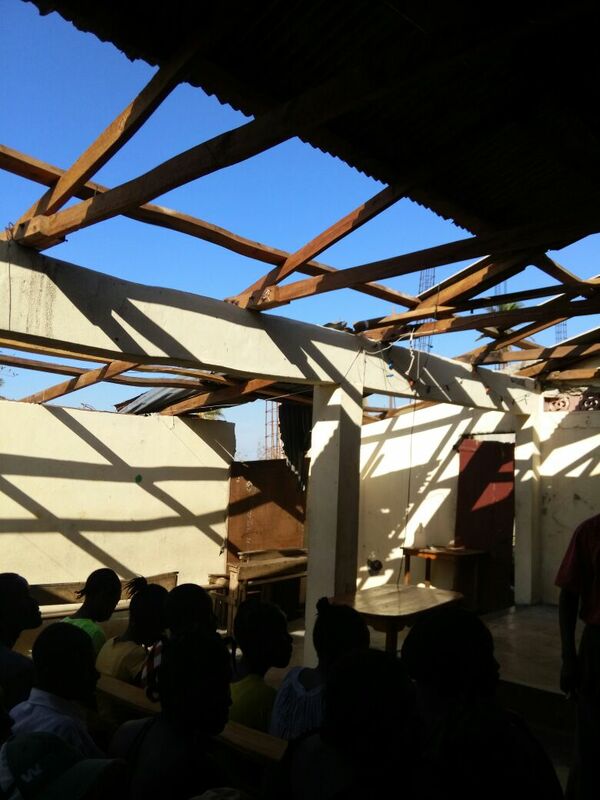 The current plan is to return to the Les Cayes area next week - hopefully to help with fixing the roof at Mission Eglise Baptiste Sud d'Haiti. I am thankful because God had given us this opportunity to help our brothers and sisters who were in need. And I felt so good working with some of the Haiti Awake staff and Jean Frtiz and Redgi from Hearts United with Haiti. We worked as a team. We worked hard. The road was bad - trees in some road, but God was with us. Further, having Fre Jack on the team has provided wisdom and experience, as well as a point of contact who already knew people in the area, including Pastor Joseph. Please continue to pray for Haiti as the road to recovery will be a long one. We are thankful for a great team of Haitian men who are helping their fellow Haitians and making a difference in the community in which they are working.